Brisk Group is a Romanian independent company delivering high standard consulting services in the construction industry. With a diverse experience in many industries and sectors such as residential, retail, office, pharmaceutical, transportation and infrastructure, we have a proven track record of successfully delivered projects. We are focused and committed to our client needs. Brisk Group has a well-established set of management principles including motivation and implication of top management, a process driven approach and continual improvement. We provide professional first class tailored services for individual client needs. 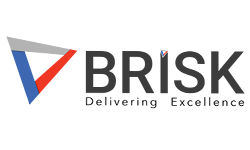 Brisk Group targets innovation and inspires positive change at all levels in the client organisation by applying principles and techniques tried and tested through successful delivered projects on the Global Market. We are committed to achieve and exceed client requirements. Our core values are based on a spirit of community, trust, robust high-quality services and long term business relationships.